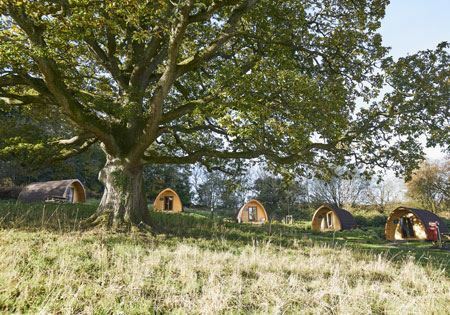 Our Mega Pods offer a great alternative to a tent whilst retaining all the ambience of a 'camping holiday'. 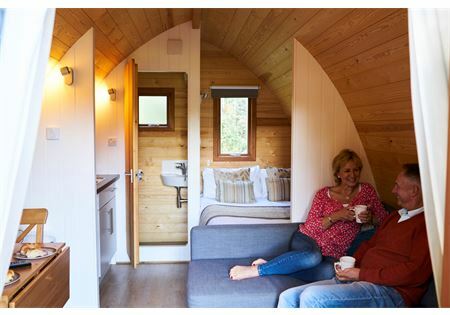 With a double bed and a corner sofa bed the Mega Pod can sleep up to 4 people. Sorry, pets are not allowed in this unit. 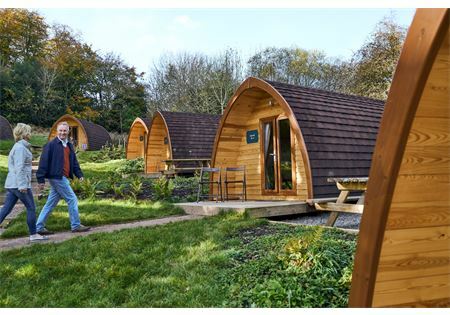 Our Mega Pods offer a great alternative to a tent whilst retaining all the ambience of a 'camping holiday' they have an outdoor picnic area and parking for one car. With a double bed plus corner sofa that converts into another double bed, the Mega Pod can sleep up to 4 people. The Mega Pod has its own toilet and wash hand basin (showers are available in the nearby toilet block) and kitchen area. The concept is still to bring your camping kit less the tent.